As one of the 100 best restaurants in the world, Magnus Nilsson’s Faviken deserves all the hype it gets. But Nilsson is not alone. Meet Sweden’s top five chefs. Second perhaps only to the Swedish chef on the Muppet Show, Magnus Nilsson is Sweden’s number one celebrity chef. In an age when chefs are becoming more and more like rock stars, 34-year-old Nilsson very much looks the part, with his long, blonde hair and beard. Having worked at L’Astrance and L’Arpège (both French, each with three Michelin stars) Magnus Nilsson took over the reins at Faviken(Fäviken in Swedish) in 2008. 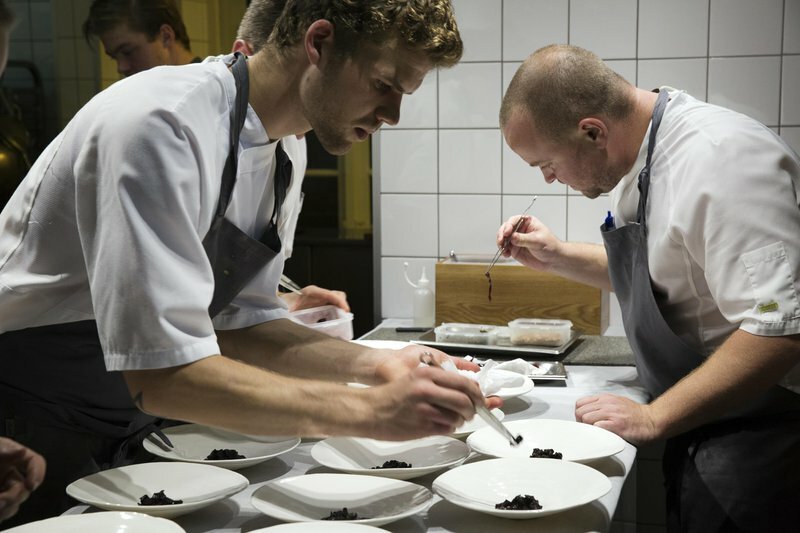 In 2012, the restaurant, which is remotely situated in Jämtland, in northwest Sweden, placed among The World’s 50 Best Restaurants. Nilsson has since earned two Michelin stars and starred in an episode of hit Netflix show Chef’s Table. As a result, scoring a reservation at this New Nordic institution, which sources nearly all its produce from farming and hunting in the immediate vicinity of the restaurant, is a bit like winning the lottery. Rising to fame after winning the prestigious Bocuse d’Or Award in 1997, Mathias Dahlgren has been named Swedish Chef of the Year four times. In 2007, he opened his Mathias Dahlgren – Matsalen (or dining room) restaurant in the Stockholm Grand Hotel and, in 2009, it became the second Swedish restaurant ever to be awarded two Michelin stars. These days, Dahlgren has diversified. He currently heads up two additional restaurants, both housed within the sumptuous Stockholm Grand Hotel: Matbaren, an informal, modern bistro with one Michelin star that specialises in food and wine pairings, and Rutabaga, which its distinctive focus on developing the next generation of lacto-ovo-vegetarian cuisine. Dahlgren’s third venture, the Green Rabbit rye bread bakery, is situated nearby in downtown Stockholm. Ethiopian-born, Swedish-raised Marcus Samuelsson left Sweden for New York in 1991 to work as an apprentice at Restaurant Aquavit. By the age of 24, Samuelsson was Aquavit’s Executive Chef and, since then, his career has sky rocketed. Highlights include cooking for Barack Obama at a 2009 State Dinner and being named the “Best Chef in New York City” in 2003. He currently heads up numerous prestigious eateries, including the famous Red Rooster in Harlem, as well as the Kitchen and Table chain in various locations across Stockholm and the Nordics, among others. Daniel Berlin’s eponymous one-Michelin star restaurant is situated well off the beaten track, in Skåne-Tranås, a village in the ruggedly enchanting Österlen area on Sweden’s southeast coast. 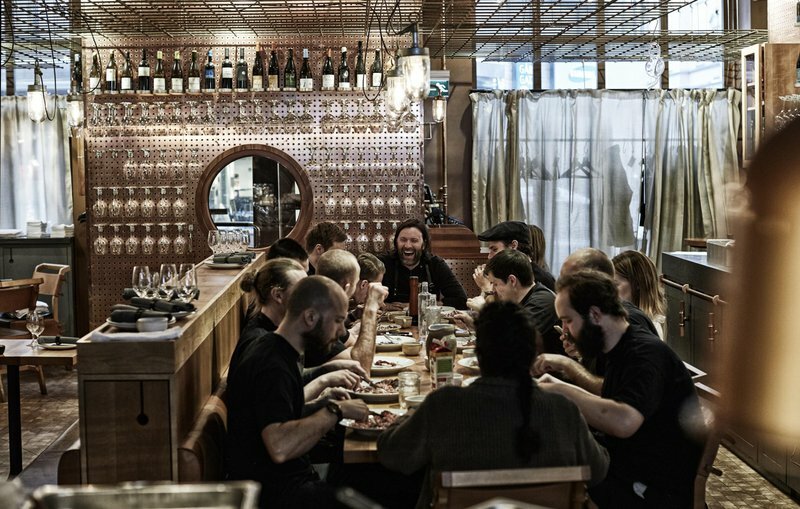 Berlin puts you in mind of an old-school Viking, as many of his dishes are based on fresh, local ingredients that he has grown, foraged or hunted with his own hands. This is why his breath-taking, exquisitely executed creations focus mainly on vegetables, with meat typically only served during hunting season. 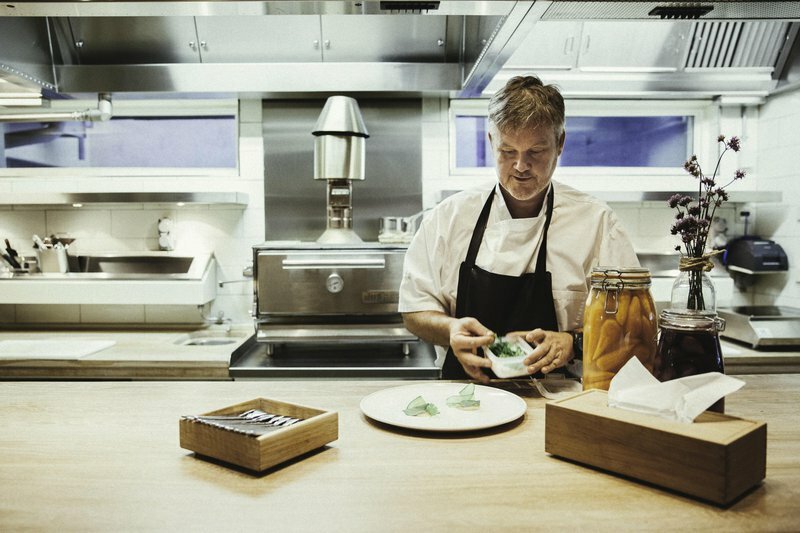 The man behind the hugely successful EKSTEDTconcept in Stockholm is Niklas Ekstedt, a 39-year-old Swedish chef who has made his name by creating a unique fusion of traditional Swedish and new Nordic cuisine. Ekstedt’s food is all prepared over live flames in a pit fire, resulting in a spectacular selection of three- and five-course tasting menus that feature standout dishes such as reindeer baked on glowing embers with smoked ox marrow and chimney-smoked lobster with toasted almonds and tomatoes. Swedish forests and meadows offer an abundance of tasty wild berries. Best of all is the blueberry, which is not only delicious but also packed with healthy antioxidants.